The RKI S2 series gas sensor transmitters are highly reliable and cost effective basic 4-20 mA transmitters for the detection of common gas hazards. The S2 series transmitters are available for LEL (catalytic), LEL (IR) CH4, LEL (IR) HC, C02 (IR), ppm H2 (MOS) and ppm Hydrocarbons (MOS). The electronics are encased inside a potted package to avoid damage from mechanical abuse or corrosion, and this assembly is installed inside an explosion-proof enclosure. All sensors are explosion-proof with flame arrestors and approved for use in hazardous atmospheres. The only tools required to calibrate the S2 series are a voltmeter, screwdriver, and cal gas. The zero and calibration functions are performed by adjusting potentiometers on the amplifiers. The amplifier has test jacks for connecting to a voltmeter for calibration purposes, and the sensor response is viewed on the voltmeter as a 100 mV to 500 mV signal. Field calibration can be performed easily and quickly by one person. The S2 series transmitters can be used either indoors or outdoors. The flame arrestors utilize a patented coating which make them water repellent, and splash guards are also available for use in very wet environments. 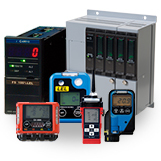 The transmitter operates from 24 VDC, and provides a 4-20mA signal which can be connected to a wide variety of controllers. Location Indoor/outdoor. Explosion proof for Class I, Div 1, Groups B, C, and D. Indoor/outdoor. Explosion proof for Class I, Div. 1, Groups B, C, and D. Indoor or outdoor. Explosion proof for Class I, Div. 1, Groups B, C, and D.